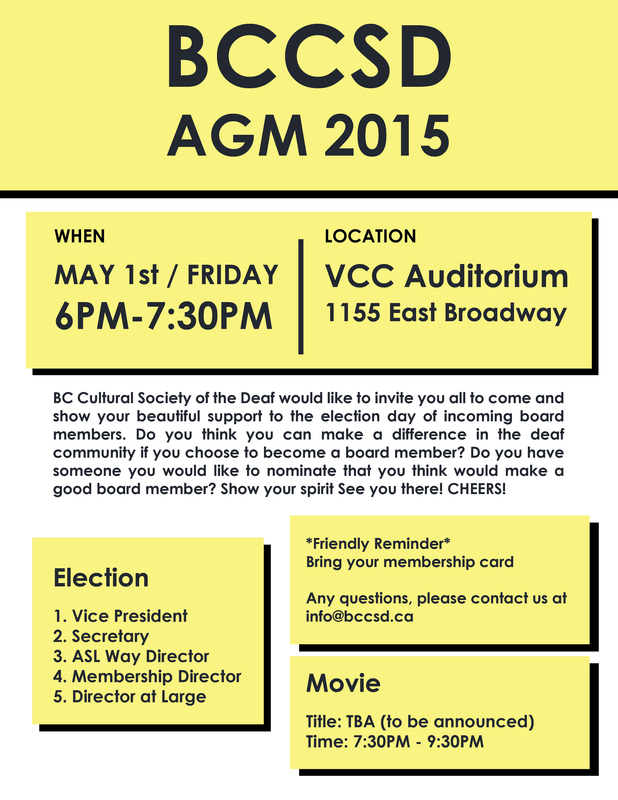 BC Cultural Society of the Deaf would like to invite you all to come and show your beautiful support to the election day of incoming board members. Do you think you can make a difference in the deaf community if you choose to become a board member? Do you have someone you would like to nominate that you think would make a good board member? Show your spirit See you there! CHEERS! The title is to be announced.